Every college-bound student has heard of the US News rankings. Now students can look for rankings published by the US Department of Education, though critics of the new system are many. 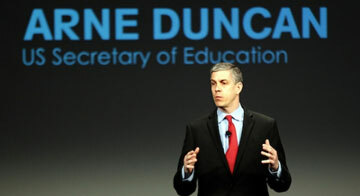 The Education Department has planned to release not one, but two college-rating systems. One of these systems would be targeted to consumers; the other system would be targeted toward policy analysts and researchers. But why a new ranking system at all? Education professionals are criticizing the plan for being overly cumbersome and confusing for consumers, who could easily see a school perform well on one list and then poorly on another. Additionally, the system metrics reflect data that may not be relevant to aspiring students, including number of students receiving Pell grants and loan-repayment rates. You can read more about the Education Department plan here. What do you think of the national college-rating systems? We would love to hear your comments below.